Cost-reducing solutions for getting the most out of your venue. Venue rigging has its own unique characteristics that separate it from entertainment production for temporary structures. While much of the same equipment is used, installing and rigging in a permanent venue, such as an arena, stadium, or convention center needs to address requirements and logistics exclusive to that of venue installs. Mountain Productions provides a variety of venue installation services, including fall protection systems, arena reduction, sub-grids, automated intelligent control systems, and more. Mountain Productions’ venue installation systems are designed specifically for each of our clients, and our engineers will custom create solutions catering to your exact venue with safety as the number one priority. Additionally, our systems will not only improve your venue logistics for incoming events and shows, but also save you money by reducing long-term costs associated with outdated rigging arrangements. Our venue services are tailor fit to a diverse range of industries. 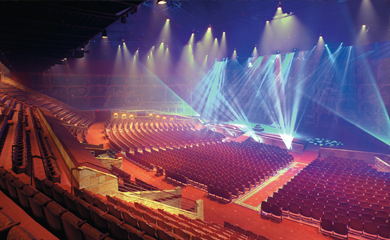 Entertainment venues, regardless of their size, rely on incoming talent and tours to fill their event slots. Integrating a Mountain Productions’ venue install can improve rig time for artists’ production crews which saves time and money on labor. Providing the most efficient way to rig will keep your venue booked and your audience (and crew) happy. 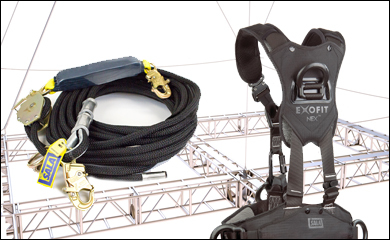 Combine this with reliable fall protection systems at height to transform your venue into a modern hub of technology, safety, entertainment, and return business. 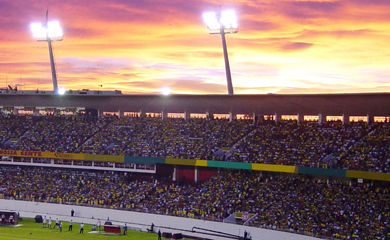 Stadiums and arenas are versatile venues that are used to host both sporting and entertainment events. By adapting to both, venues can reach a diverse audience and have the ability to bring in musical artists and talent between the sports season. 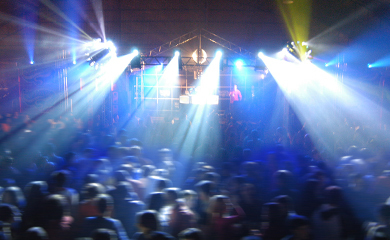 Venues must be ready to meet the specific size and fan experience requirements that are unique to each artist or event in order to keep the crowds (and promoters) wanting to come back again and again. We can assist your team in finding the right systems that will increase productivity during production load ins and outs, so your sports schedule can run uninterrupted while bringing in the most popular entertainment talent. In the corporate world, convention centers are akin to large stadiums, attracting enormous crowds for tradeshows and corporate events. Mountain Productions has a vast amount of experience in the corporate sector, and can help upgrade your convention center’s installation systems. 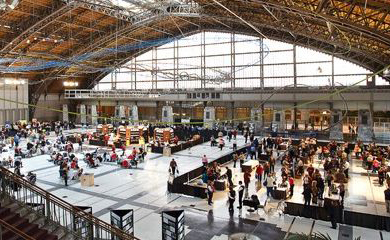 Tradeshows bring in countless vendors who require rig points and safe systems for rigging. We can help you modify your space to provide the most efficient environments for production crews. Theatrical rigging doesn’t have to involve dead hanging and antiquated systems anymore. With the rise of automated rigging systems and intelligent hoist control plus the option of an easy-to-rig sub-grid, theaters have the ability to feature more shows, and bring more crowds to their venue. Mountain Productions has worked with theaters for over 30 years’ custom designing rigging solutions, and have the ability to cut your labor and maintenance costs down so you can distribute your budget on your entire theater experience, not just your building. The key to saving money is to cut down labor costs and maintenance time on your venue. Automated rigging systems are more popular than ever, and give venue operators the power to control their chain hoists with a smart control system that streamlines workflows. 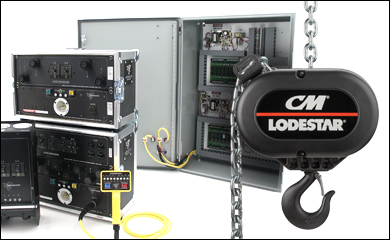 Our automated rigging systems combine the legendary power of CM chain hoists with chain hoist control units that allow for pre-programmed positioning and load sensing. This ultimately reduces the venue’s labor burden and makes your entertainment components easier to rig, move, and manage. Arena reduction systems are modular solutions using chain hoists, truss and curtains that help mask off unused parts of your venue. 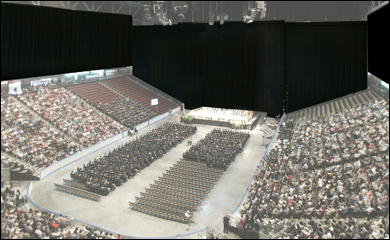 These systems are typically used in large arenas, such as stadiums, to accommodate smaller size shows that might feel unfit for the grand scale of a large venue. What does this mean for your venue? More shows, more dates filled, more audience, and greater revenue generated. The most important aspect of any venue is safety—both for your audience, your performers, and the crews rigging the show. Mountain Productions focuses on safety in each of our departments to ensure the proper safety systems are in place and trained upon. Our experience installing fall protection systems for venues is second-to-none, and we work with the highest quality brands in safety to provide the safest solutions available. Along with actual installation, our team provides consultation and training so that you can pinpoint the areas of your venue that need work, and what is already in place. Implementing a sub-grid in a venue can do wonders for reducing your labor cost and maintenance. 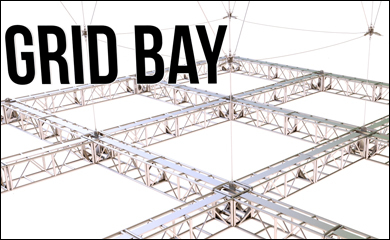 A sub-grid can transform the way your production crews rig with symmetrical rig bays and integrated fall protection systems. This saves a ton of time in production builds, and also avoids any accidental damage to your venue. One of the many things that sets Mountain Productions apart from the competition is our engineering department. 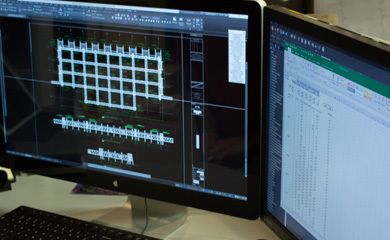 We have an in-house team of engineers led by a professional engineer that can design almost anything you can imagine. Our team is not only focused on temporary structures, but also permanent installation systems. We’ve worked with countless venues in the design and engineering phases, and fulfill each project all the way through quality control and post-installation services. By working from the beginning, our team can ensure that your requirements are met, and expectations exceeded. INTERESTED IN EVENT VENUE INSTALLATIONS?